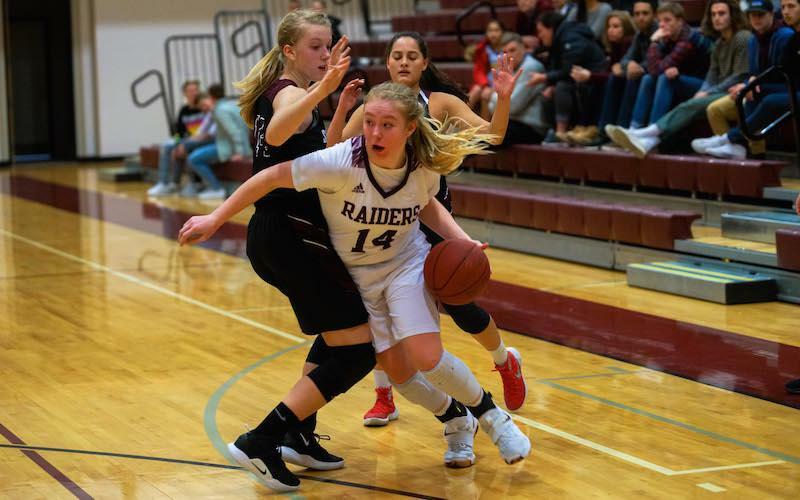 Korey McDermott's photo featuring Norwood-Young America's Hannah Zellmann dribbling through a pair of Southwest Christian players on a drive to the basket during a 56-42 victory Jan. 10 is the 2019 MN Girls' Basketball Hub Photo of the Year. Korey's picture, which received 40 percent of the votes, will compete to be the MN High School Hubs Photo of the Year at the end of the spring season. Click the link above to view the photo gallery from the game. The MN Girls' Basketball Hub Photo of the Year poll is for entertainment purposes only. See who was honored from each of the four classes.